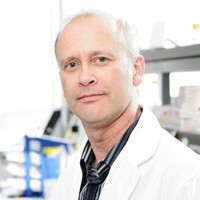 Professor of Toxicology at the INRS-Institut Armand-Frappier, Université du Québec, Laval, Canada. Adjunct professor at the Department of Pharmacology and Therapeutics, Faculty of Medicine, McGill University, Montréal, Canada. Member and former councillor (2008-2011) of the Society of Toxicology of Canada. Member of the Society of Toxicology since 2000. Recipient of a 2006 Leader's Opportunities Fund Infrastructure Award from the Canadian Foundation for Innovation. Current research funded by the Canadian Institutes of Health Research and Natural Sciences and Engineering Council of Canada.